It seems like you have to buy new Christmas lights every year now. Regardless as to whether they aren’t good quality or if they got damaged by not being stored correctly, it’s not fun to purchase them year after year. Don’t worry! There’s an answer and the first step to finding it is to familiarize with yourself with some features of the best lights. Of course, you want your lights to have a good glow. Clear white mini incandescent bulbs are popular because they do not get hot. Sometimes simple warmth is the best part of the season. Glow is good but so is sparkle and the multi-color LED lights do just that. The best part is they are controllable with a remote and have several color options to choose from. Different brands have different features, so you can make some of them strobe, flash, or fade. 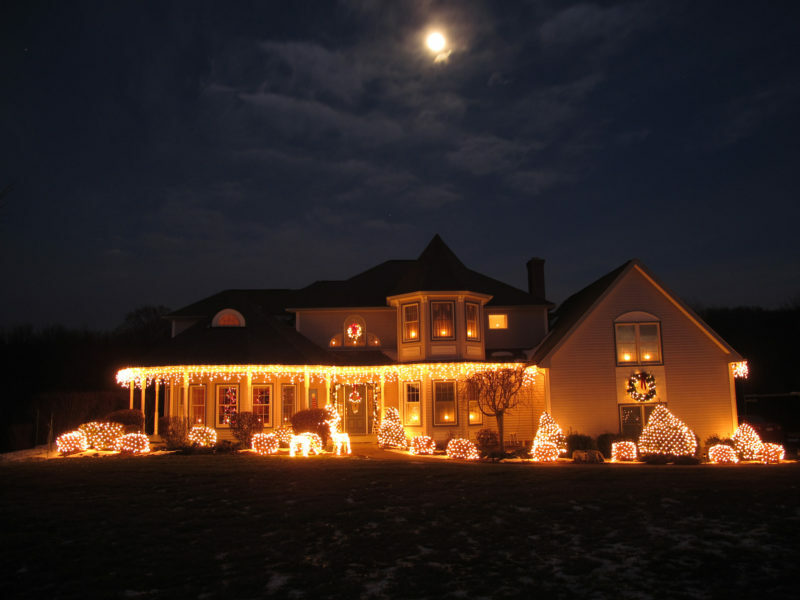 Add a touch of seasonal whimsy with icicle lights along the roofline. They come in different colors and are typically designed for durability with a crisp beam of light. You should definitely consider projectors in your Christmas light lineup. They illuminate large areas, have different colors and patterns, and come with a variety of features depending on the brand. Some come with automatic light sensors and timers that turn themselves on and off. Yard stakes stabilize them to make sure they’re sturdy and shake-free. Let Roof to Deck Decoration do all of the heavy lifting this season while you relax and enjoy your family and the festivities. We give a free consultation. The lighting is provided by us and we do complete maintenance. You never have to worry about a bulb burning out and having to fix it yourself. Visit us by clicking here to see some of our handiwork.